Create a moment thinking for yourself aboard one of our Tuk Tuks, Segways or Vans! Show us your plans and let us take care of the rest. .
A trip by tuk tuk is a delightful complement to every special occasion: birthdays, anniversaries, weddings, bachelor parties, remembering that special occasion among many others. 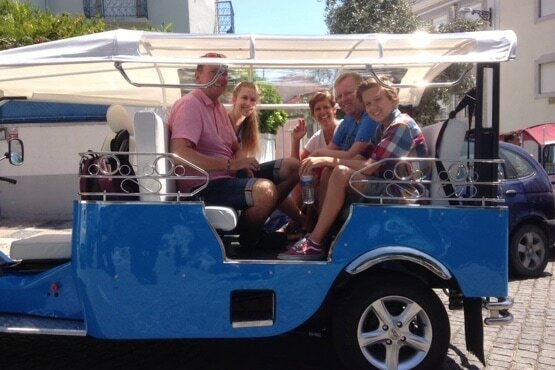 Let your imagination soar and suprise that special someone with this different way to experience the city of Lisbon. Share with us your idea and we’ll take care of the rest. Children love our big and safe blue Tuk Tuks. To them, they seem big toys. We offer programs for children’s birthday parties with fun games aboard and snacks included. The family will love it and the little ones will never forget this experience. Our 100% electric, 100% eco-friendly and 200% fun Tuk Tuks can be the new meeting room for your company. Our Segways guarantee moments of pure adrenaline and are an ideal complement for a team building event. After all, the obstacles are conquered as a team. We have experience in developing corporate events and team-building events with various team challenges and awards for the most creative and attentive! 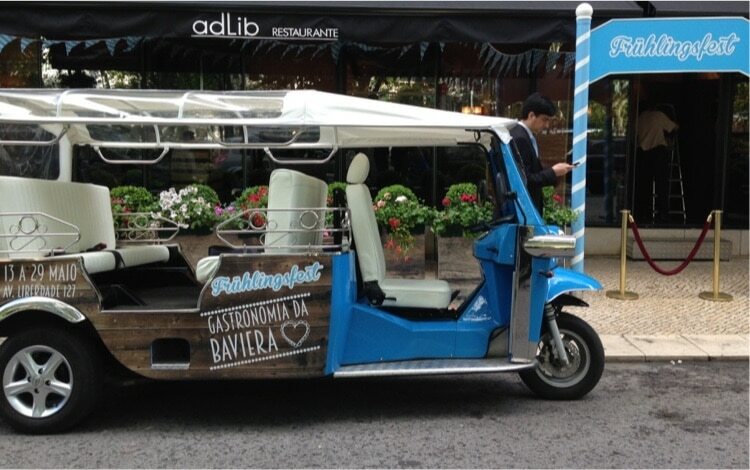 A 100% electric Tuk Tuk where you will find the best, handmade ice-cream. We aren’t masters in ice-cream, that’s why we rely on the best: Emanha, in Figueira da Foz, with 30 years of tradition in manufacturing handmade ice-cream. 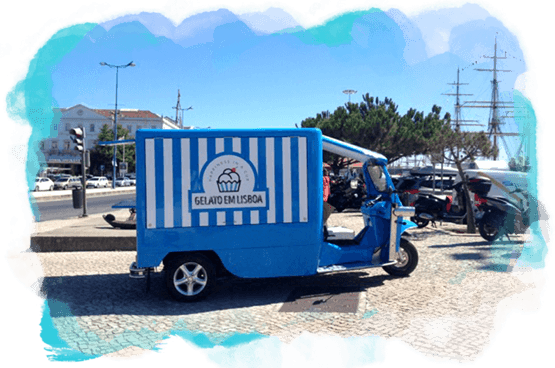 Meet our blue Tuk Tuk at the viewpoint of Graça and enjoy genuine tastes and a creamy texture that can only be found in the best, handmade ice-cream. Make your event or Party even more special with the presence of Gelato em Lisboa. And since it’s 100% electric, it can operate in closed locations, such as lobbies or congress centers, amongst others. Activation empowers the relationship with the costumer and strengthens sales. 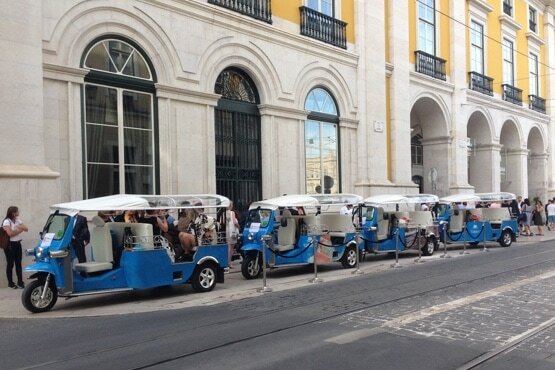 Have the image of your company moving around through the city of Lisbon. Our Tuk Tuks and Segways X2 are an ideal advertising space for the promotion of your brand, product or event. Contact us for more ideas and information! If you have any questions regarding our services or to request a quote for personalized services, send us a message or get in contact with us. Message * In order to better respond to your request, please indicate: what type of event do you have in mind, duration, location, start and end time of the tour, the language and the number of people.